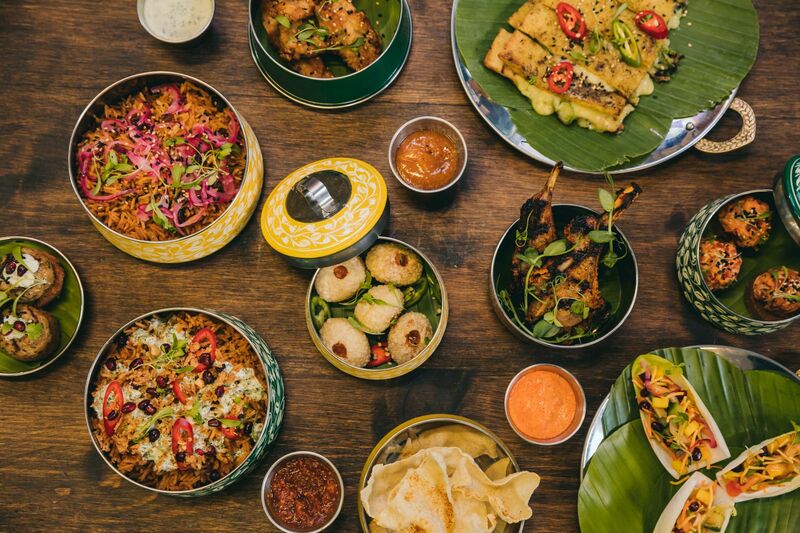 Paying homage to India, Mrs Fogg's will take you on a culinary journey. Visit for Keralan chicken, Galouti Kebab and many more spiced delights. For a seriously foodie destination, head to the Argentinian delights of Gaucho which has a series of incredible menus for Christmas. From the Christmas sharing menu (salads and empanadas) to rib-eye and sirloin served with chips, maple and chestnut stuffing, pigs in blankets, brussel sprouts with bacon and wilted spinach, red wine and cranberry jus to the Signature menu (your choice of Gaucho dishes for £68), it’s all about a dining experience to remember. Want to keep things laid-back but in the party spirit? All Bar One have created the perfect balance with festive burgers (classic beef burger topped with BBQ pulled turkey and melted camembert served with sage and onion fries); a vegan festive burger (aubergine and harissa vegan burger with shredded sprout, coleslaw and BBQ cranberry sauce served with sage and onion fries) and pulled turkey wraps. Plus, in the greatest pudding invention ever conceived: the ultimate chocolate fondue for four people to share (with cinnamon churros, toasted jumbo marshmallows, raspberry meringues, brownie bites and mixed fruit). And, of course, there’s plenty of winter warmer drinks (choose from Gingerbread Latte with Gingerbread Man, Salted Caramel Hot Chocolate with Torched Meringue) and cocktails (Jingle Juleps and The Ice Queen). They’ll also be donating 50p from every festive meal ordered to the homeless charity, Shelter… Click here to see the menus. Stay up to date with the latest news and events at Instagram, Twitter and Facebook and share your festive tips and photos with #BroadgateWinter. For all the latest news direct to your inbox, sign up to Broadgate's newsletter here. And be in with a chance of winning an incredible Winter Forest competition here. Open seven days a week (Monday-Saturday 12-11pm and Sunday 12-7pm).